After the horrible headaches I have very often in the last time stoped some when at 9 pm, I decided to cook my tomorrow lunch. And it was nice to think about something else than the pain which didn't allow me to move today. 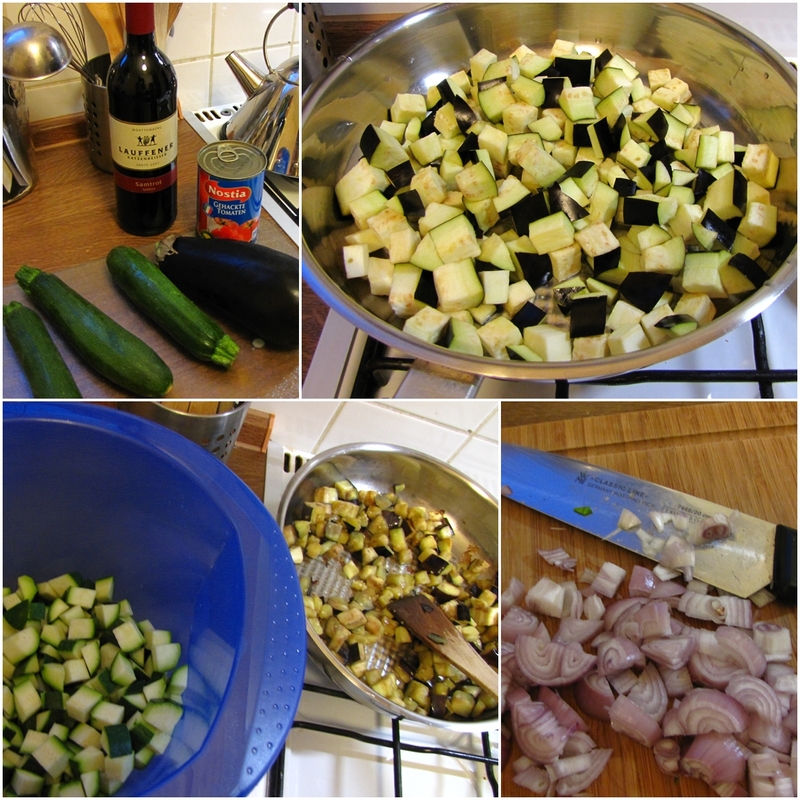 I still had some zucchinis left as well an eggplant so the only idea I had to use it was cooking a ratatouille. Ratatouille is as all my dishes quite fast and easy to make. 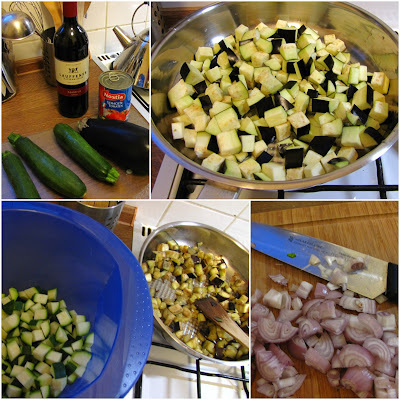 At first dice the eggplant and sauté it in a little bit of olive oil. Eggplant need more time to be done. In the meantime, dice the onions and the garlic and the zucchinis. If you take fresh tomatoes, dice them as well. This time I had no fresh tomatoes so I took a can of Italian crushed ones. Add the vegetables to the half done eggplants and add a shot of red wine. After all the vegetables are in the heavy pan, close the lid and stew it gently on the smallest gas mark for about 15-20 minutes. But 20 minutes might be too long, so check the vegetables after 10-15 minutes. After the dish is done, add the herbs (basil, oregano, black pepper or else if you want - you can add salt if the taste is not heavy enough). 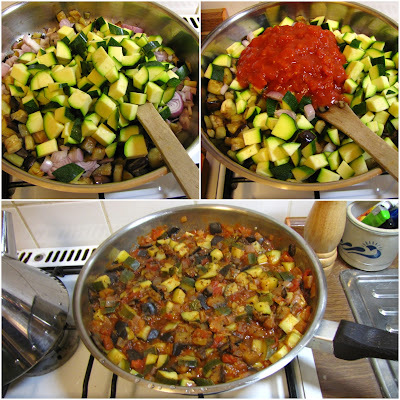 You can serve ratatouille with rice or bulgur what I am going to do tomorrow. Check the pictures of the cooking steps I wrote. Voilà tout. Amateur vegetarian chef from Germany - environment, animal rights & ecology activist.